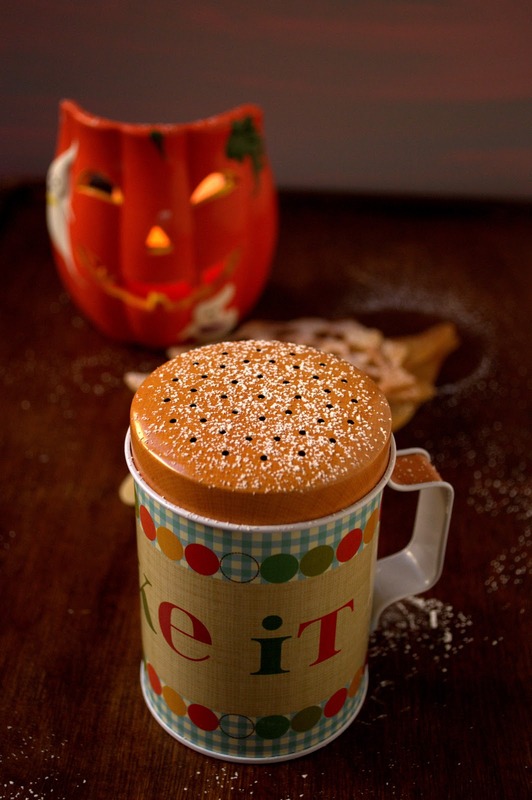 Halloween is celebrated all over the world on October 31st. It has its origins in pagan festivals and was started around the end of October in United Kingdom and parts of Europe. It is a belief that dead people come alive and walk among the living. To avoid dead spirits, people thought that they must dress up when venturing out as the spirits will not recognize their original look. This way they can avoid getting harmed by the spirits. But on the recent times, Halloween parties are celebrated where the hosts and guests enjoy the evening with good food and lots of fun. Guests arrive dressed up. Children go trick or treating. They go to neighbor’s house, knocking the doors for candies, sweets or snacks. Those who did not give out a treat should entertain the kids with a trick or a joke. We have decorated our office with all the scary stuffs and I can Halloween in the air. We have a dress up event on Wednesday at work and my son will be a part of Halloween parade in school. I am looking forward to see him all dressed up and walking with his classmates. I hope he doesn’t cry and miss the fun. This year my husband and I have decided to get dressed up as nerds or pirates as we don’t want my little one to get scared with any horror costumes. My son will dressed up as Curious George and Lion king, one for his school and the other one for the evening party. 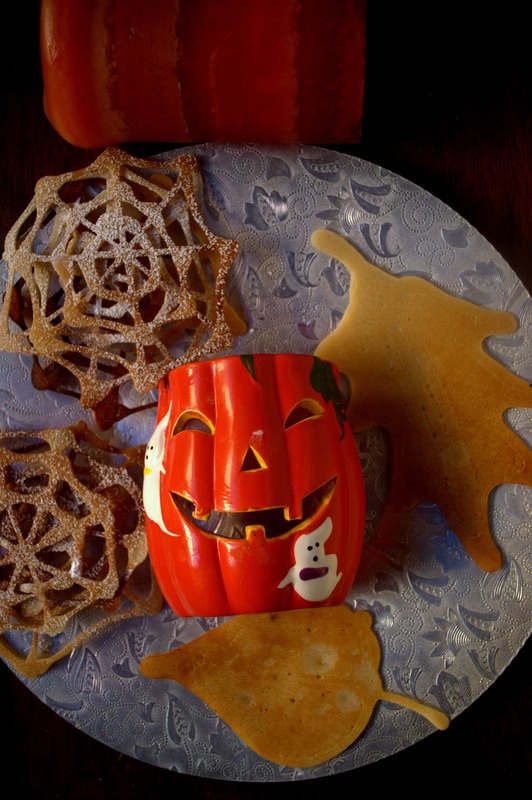 Halloween is related to pumpkin, bats and spiders.I came across this quick and easy recipe in Aparna’s Diverse Kitchen blog. I loved the simplicity in its preparation and creation. All we need is some flour, eggs, squeeze bottle and an excited kid who enjoys watching each step of its creation. I made slight changes to the original recipe. I replaced all purpose flour with whole wheat and brown rice flour. I added brown rice flour to make the cookies even more crispier. Instead of the regular white sugar, I used coconut palm sugar and honey. Finally I added some cardamon powder for an Indian touch. 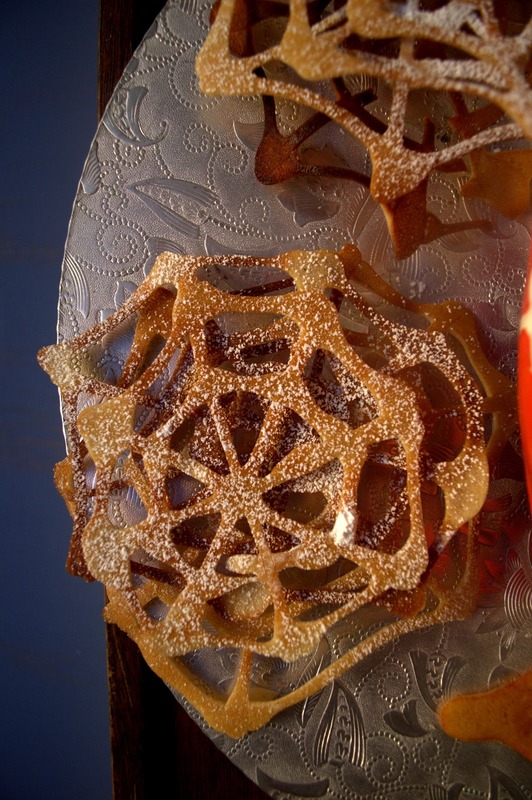 Enjoy making these cute looking spider web cookies for Halloween. They are super simple to mix and fix. Your kids will be so excited to try this. Place some plastic spiders on top or you could make spiders with chocolate chips too. 1. Sieve the dry ingredients to avoid any lumps. You want the batter to run smoothly. Mix all the ingredients (except the powdered sugar) in medium bowl and whisk the batter by hand. Pour batter into a plastic squeeze bottle with narrow opening. I used a non-stick saucepan (dosai kal / chapati tawa) (without the sides). The lack of sides makes it easier to lift and turn the cookies with a spatula. 2. Heat a medium sized skillet or griddle over medium heat until hot. Grease it lightly with oil using a kitchen tissue or towel. Work as quickly as you can and squeeze the batter out of the bottle using uniform pressure, to form 4 straight lines which intersect at right angles in the middle (like a +). 3. Squeeze out another four lines in between these, so that you have 8 straight lines equally spaced from each the next all intersecting at the same central point. You should have a 8-lined star shape. Now squeeze out 3 separate sets of thin lines joining them all together to look like a cobweb. 4. Cook for 3 minutes on each side and flip. Let it cook for between 30 to 60 seconds till golden brown underneath. Carefully turn the “cobweb” over with a wide spatula and let that side cook till golden brown. Since I had used whole wheat and brown rice flour, the cookies had a dark brown color. 5. Remove the cookie from the skillet and cool on a wire rack. 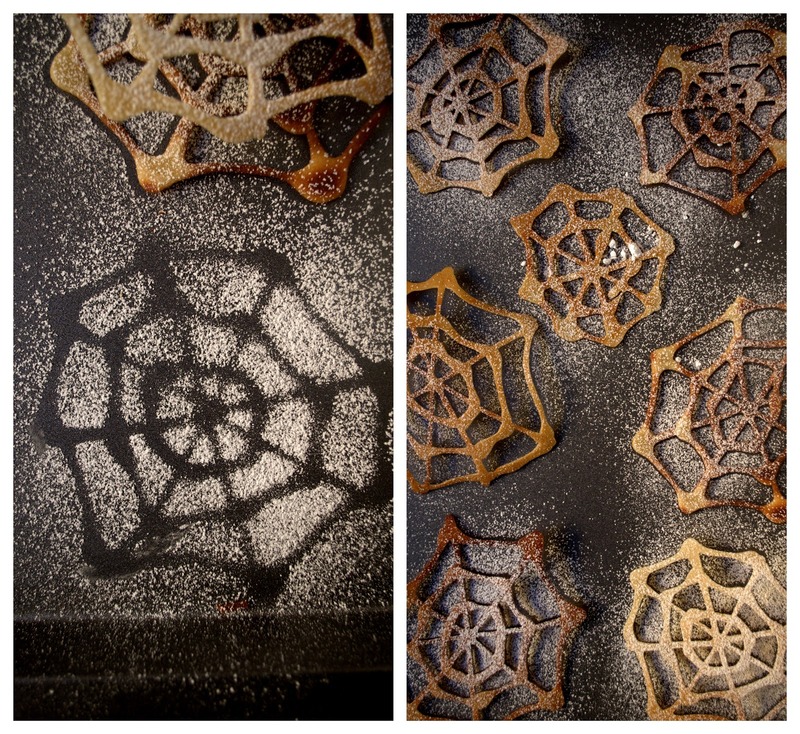 Important: The cobweb cookie will be soft when you take it off the skillet but it will become crisper as it cools. 6. Cool completely and sprinkle with powdered sugar. Store them in an airtight container, separating each layer with parchment paper. 7. I made different shapes like autumn leaf, my son’s name or do whatever your kids wants to see. 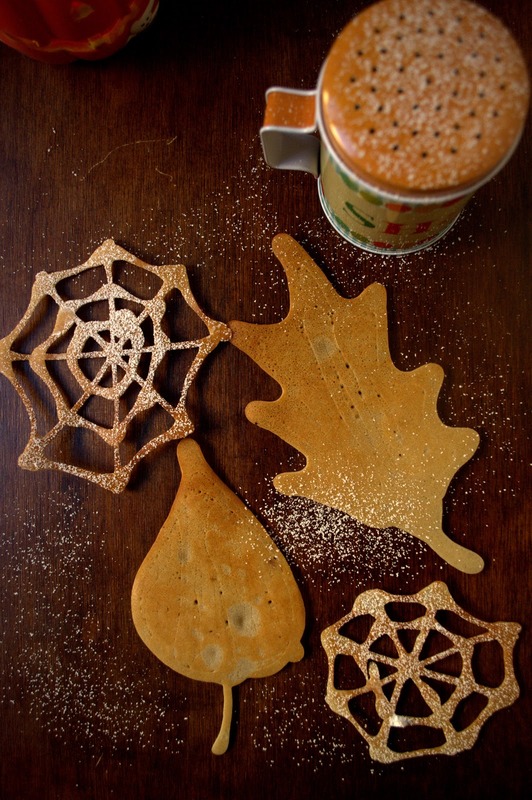 The leaf shaped cookies were not be as crispy for the spider web shape. I think that’s because of the presence of too much batter.